Microsoft CEO Satya Nadella has previously called Office 365 Microsoft's "most strategic" API, but it wasn’t until today at Build 2015 that we’re starting to learn more about the company’s plans for Office as a platform. Specifically, Nadella said that some "fundamental changes" revolving around the user experience are coming to the productivity suite by giving developers the ability to integrate functionality from their third-party apps into the different apps that make up Office. Although the company has offered support for ad-ins for years, this is different in that they’ll live in the cloud, so if you install one add-in it’ll run across the Windows, iOS, and Office Online platforms. 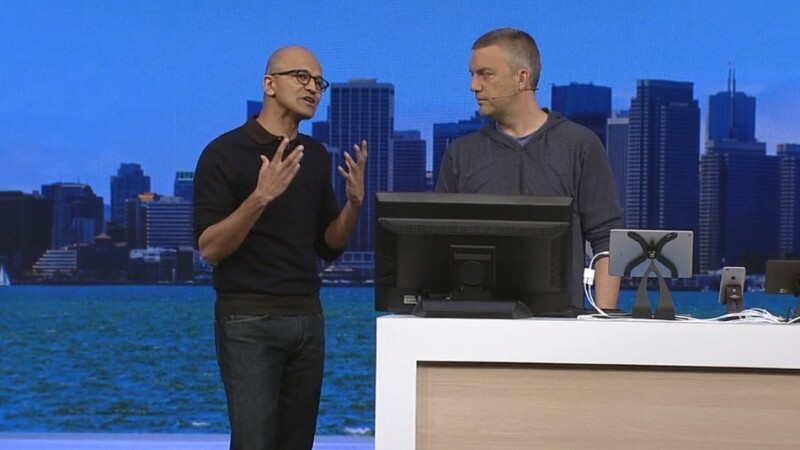 Rob Lefferts, general manager of Office Extensibility took the stage to demonstrate the functionality alongside Satya Nadella. DocuSign, for example, can integrate its electronic signatures with Word, while LinkedIn and Salesforce add-ins for Outlook will offer more information and context about the people who have emailed you by pulling data from these services. In one example, Lefferts demonstrated an Uber add-in that lets you specify when you’re going to need and Uber ride for a specific calendar appointment. When the appointment is coming up, Outlook automatically pings out a reminder to your smartphone, and upon firing up the Uber app your ride request will have the destination pre-populated based on the details on your calendar. “That’s the powerful concept — you no longer are going to different applications for different data,” Nadella said. Access to the necessary APIs will begin to rollout to developers in the coming months.